DarknessBlog is a free blogger template with 2 columns, right sidebar, rounded corners, space for ads, slideshow, social icons, abstract and gradients. 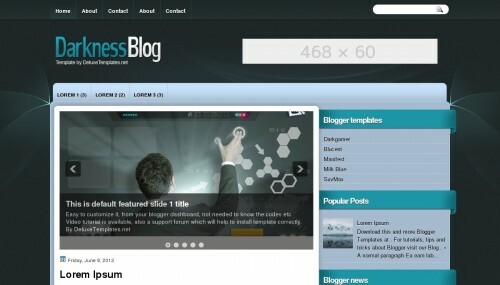 Excellent layout for blogs about business. Download DarknessBlog for free in Softarea World. If you like these post, drop your feedback in the comment box. Thanks!